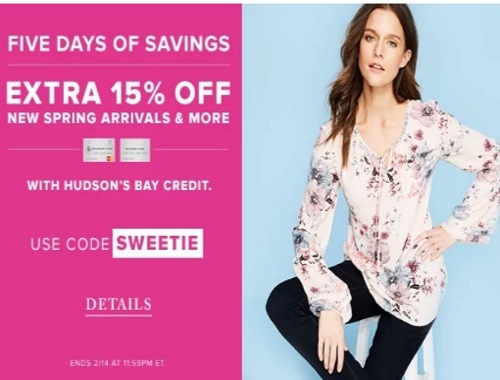 Hudson's Bay is offering 15% off your entire purchase during their 5 Days of Savings promotion! Save in-store and online when you pay using your Hudson's Bay Mastercard or Hudson's Bay Credit Card. Enter the promo code SWEETIE at checkout. Offer is valid until Tuesday, February 14, 2017.